The annual Black Friday comes! For this year's Black Friday, we decided to offer a 5% coupon code for all products. 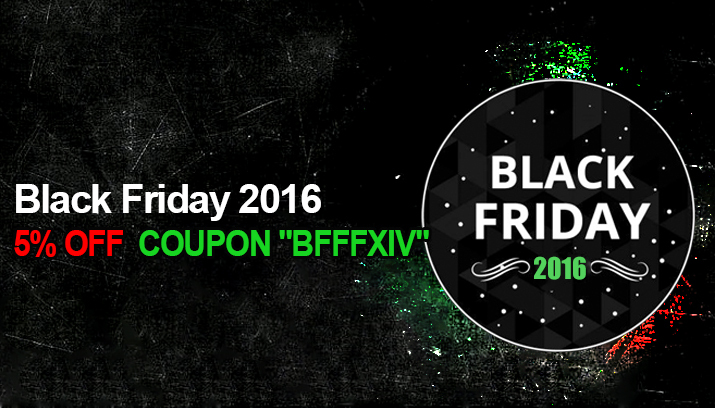 You can get 5% discount at checkout with the code "BFFFXIV". Welcome to purchase, if you have any questions, please feel free to connect our live chat service.